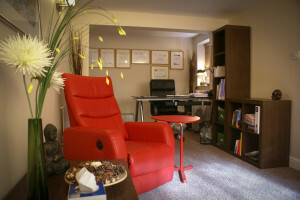 If you are looking for a highly qualified and skilled hypnotherapist near Lymm then you have landed on the right page. I am a hypno-psychotherapist which means I have been trained to deal with many emotional issues using techniques that work within psychotherapy and hypnotherapy. Combining the two techniques is far more effective than just using one or the other. My experience lets me know exactly how to treat the problems you bring to me, in a timely and effective manner. I mainly specialise in anxiety disorders which affect so many people in the UK. Anxiety can be a real problem and can take form within phobias and fears, generalised anxiety disorder, depression, lack of self esteem and confidence issues. Have a look to the right of this page and you will see a list of many common problems that I can help with. Even if your problem isn’t listed here, I have probably come across the problem in my working life. If you use the search term hypnotherapy Lymm then you will find many therapists in and around Lymm and often people will want to see a hypnotherapist locally, within a few minutes drive for example. But it is worth remembering that sometimes you may have to travel a little further to find the right hypnotherapist for you. I always encourage people to call the therapist and have a chat over the phone before you make any decision on who to see. I always spend a little time chatting to my clients over the phone, to help them feel comfortable and to answer all their questions. This really instills confidence. Hypnotherapy and psychotherapy have been proven to help with many conditions and with depression I would tend to use some psychotherapy to help. But you don’t have to be suffering with emotional problems to get a positive result from my services. I also help many people to quit smoking with my very own powerful one session stop smoking hypnosis. I also help many people lose weight with my designed weight loss hypnotherapy which I either use Gastric band hypnosis or my other system which targets the emotional eating which seems to affect so many people. This is where you eat when you feel low, bored or stressed, or when you want a treat or reward. Whatever your problem, why not give me a call and we can start the process of getting you to where you want to be in your life! My comfortable and professional office is located in the Old Hall area of Warrington, just a 20 minute drive away from Lymm centre. I get many clients outside of the Warrington area as my office is easily accessible from the M62 motorway, either junction 8 or 9.